A Plein Air class with a great instructor may be just what you need to take your art to the next level. The outdoor classroom is where all the lessons of light are learned the hard way! Spend a week painting on location in the Sonoma County wine country with master watercolorist Mike M.E. Bailey. 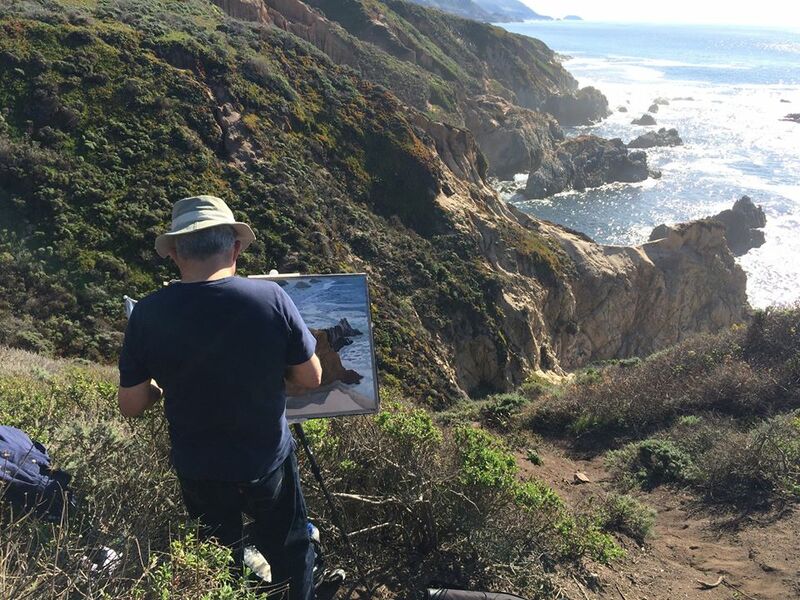 Mike is clear: the payoff to enduring the rigors of Plein Air is the enticement of visually soaking up the scene until you own it. You also get an urgent energy, the risk of experiment, a reaching for something new. To open his own pathways to more creative approaches is always a pull for Mike. We have gained week-long access to a very special private retreat estate near Healdsburg, CA. This location is not open to the public, and boasts a wide variety of vistas all available in one location. Vineyard views, mountain landscapes, glorious trees, farm equipment, rustic barns, golden hills and riverside locations. Food and wine will also be top notch.